What is a b1 file and how do I open a b1 file? B1 files are a compressed archive created by the B1 Free Archiver utility, which can also open and extract the original files. B1 is an open archive file format that supports data compression and archiving. B1 files use the file extension ".b1" or ".B1" and the MIME media type application/x-b1. B1 archive combines a number of files and folders into a single or multiple volumes, with the option of adding compression and encryption. Construction of the B1 archive involves creating a binary stream of records and volumes of the stream. 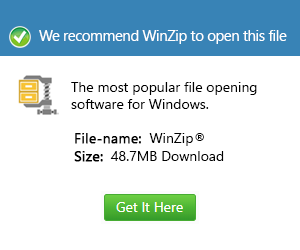 B1 incorporates the same LZMA compression algorithm as 7-zip. The B1 archive format supports password-based AES-256 encryption. B1 files are created and opened with its native open-source B1 Pack Tool, as well as B1 Free Archiver utility.